It tastes great, is easy, and who doesn’t love healthy Mexican food? Give it a try! Comment and let me know how you like it! In a small bowl, whisk together olive oil, lime juice, garlic, chili powder, cumin, oregano, salt, cayenne, and cilantro. Set aside. 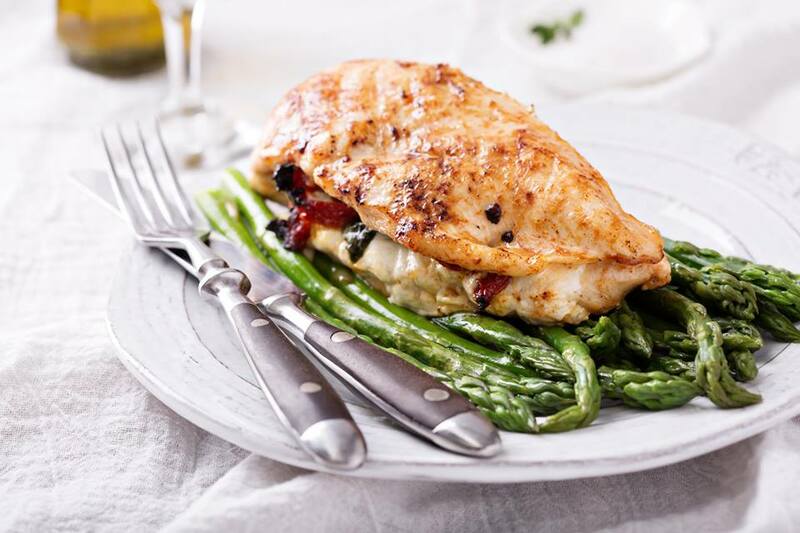 Slice chicken breasts longways into 2 even slices and firmly pound the chicken using the smooth side of a meat tenderizer to an even thickness of about ¼ inch. Brush tops of chicken with remaining marinade and bake, uncovered, at 375 for about 25 to 30 minutes or until the juices run clear.